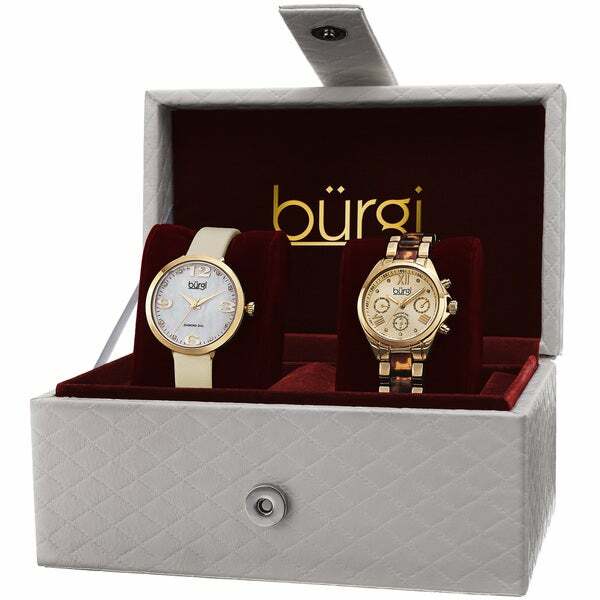 This Burgi women's watch set features a genuine leather strap and alloy bracelet. Powered by reliable quartz movements, the beautiful MOP and sunray dial features sparkling diamond markers. The classy and elegant styles make this set a keeper.